Welcome to the Paranormal Romance mini bundle, curated by the International Bestseller David H. Burton (Broken: A Paranormal Romance) —a specially selected collection of award-winning paranormal romance books that will leave you wanting more! Lisa Olsen and Dannika Dark were both kind enough to offer not only one book, but two! 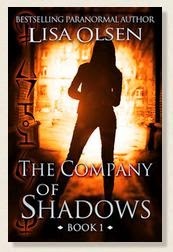 Lisa, of the best-selling Forged Bloodlines and The Fallen series brings us two phenomenal paranormal romance novels: The Company of Shadows and Moonsong – both will whet your appetite for more of her 20 works. 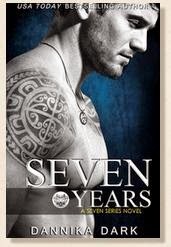 Dannika, a USA Today Bestselling author of the famed Mageri series and The Seven series has brought us two of her delectable works: Seven Years and Sterling – both firsts in her popular works that will get you quickly hooked! 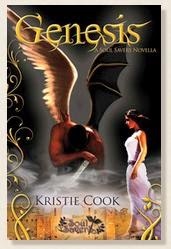 From the award winning Kristie Cook comes a story right from the incomparable Soul Savers series. For those that have already immersed themselves into this incredible world, you can’t miss Genesis. For those that have not read her works, what better way to get acquainted, and then thoroughly addicted, to a best-selling series that will leave you wanting more! 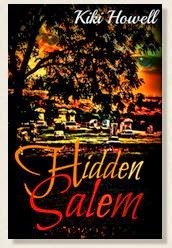 From the sultry Kiki Howell – an author with over thirty stories published between eleven different publishers – is Hidden Salem. I’ve known Kiki for a few years now and her writing is nothing short of superb. I couldn’t wait to include her in this bundle and she had exactly what I was looking for. It’s the perfect fit for this bundle! This is a very exciting bundle that has been a pleasure to curate and I know that you’re going to love this line-up as much as I do! These sound like some awesome stories - thanks for sharing!